Using cloud apps is fast becoming standard practice for businesses and Microsoft Office 365 usage is accelerating ahead of Google's G Suite, according to a new report. The 2018 Cloud Adoption Report from cloud security company Bitglass shows global cloud adoption has topped 81 percent -- a 37 percent increase since 2016 and a 238 percent increase since 2014. Office 365 usage overtook G Suite usage in 2016 and has proceeded to stretch its lead since then. Currently, Microsoft's offering has more than twice as many deployments as Google's. While G Suite usage has remained steady at around 25 percent over the last year, Office 365 usage has grown from 34.3 percent to 56.3 percent. At the same time Amazon Web Services has emerged as the go-to infrastructure as a service (IaaS) solution. Overall 13.8 percent of companies worldwide are using AWS with the technology industry leading the way at 21.5 percent adoption. 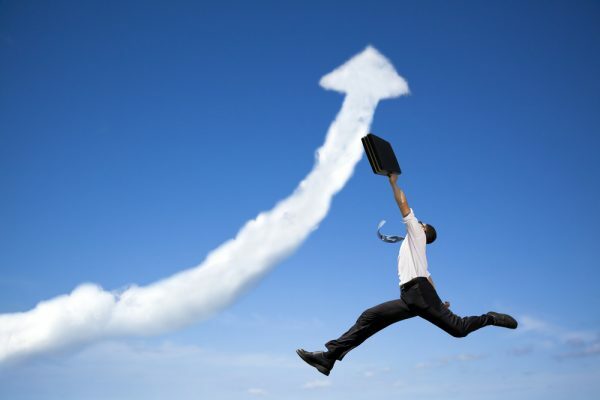 "It comes as no surprise that cloud adoption keeps achieving all-time highs year after year. Organizations worldwide have come to trust platforms like Office 365 and AWS as vendors continue to bolster security and feature-sets," says Rich Campagna, CMO, Bitglass. "Competition between major public cloud players such as Amazon, Google, and Microsoft will only increase as they fight to grow market share. It remains to be seen which emerging apps will join them to become staples in the enterprise." The report also looks at the implementation of single sign on (SSO) solutions to protect cloud services. A quarter of organizations now use SSO solutions to authenticate their users. In terms of organization size, large enterprises use SSO more than twice as often as small businesses (44.1 percent compared to 17.9 percent). Looked at by industry, education is the leading adopter of SSO at 40.3 percent, while retail (15.9 percent) has one of the lowest SSO adoption rates. The full report with more detail on how enterprises are moving to the cloud is available from the Bitglass site.